Why Should I have an Inter Vivos Revocable Trust? What is an Inter Vivos Revocable Trust? An inter vivos (during life) revocable trust, also known as a living trust, is a written trust agreement whereby the settlor (the creator of the trust) creates an entity (the trust) which is managed by a trustee (the settlor prior to disability or death, and after disability or death, a person chosen by the settlor) for the benefit of the beneficiaries (the settlor prior to death, and after death, the settlor’s loved ones). The settlor’s assets are transferred into the trust. The trust can be revoked or changed at any time until the settlor’s death. At the settlor’s death, the trust generally cannot be revoked or changed, and the assets in the trust are managed or distributed in accordance with the terms of the trust. In most cases, the assets in the trust are held solely for the benefit of the settlor during the settlor’s life. When the settlor dies, the assets are distributed or held for the benefit of the settlor’s spouse and children, or other heirs. Why use an Inter Vivos Revocable Trust? Avoids probate. As to the property transferred into the trust, such property does not have to go through probate, which is a court proceeding whereby a judge ensures that your debts are paid and that your property is distributed in accordance with your will, or in the absence of a will, in accordance with law. Speeds distribution. Probate can be very lengthy, since there are waiting periods imposed before the debts can be paid and the assets can be distributed. Instead, under a trust, the trustee can immediately act after your death. Reduces administration expenses. Probate court filing fees, statutory executor fees and legal fees potentially based on a percentage of the probate estate, no matter how much work is done, are eliminated. Similarly, the costs of guardianship proceedings if you are incapacitated are avoided. Maintains privacy and confidentiality. In probate and guardianship proceedings, an inventory, accountings and other notices are filed in the public records and sent to creditors and heirs. This does not occur with a living trust. Manages affairs during incapacity. In the event you become incapacitated, a successor trustee that you name can manage your affairs, thereby avoiding a guardianship, wherein the court adjudges your capacity and supervises the management of your affairs. Protect your heirs from certain creditors. 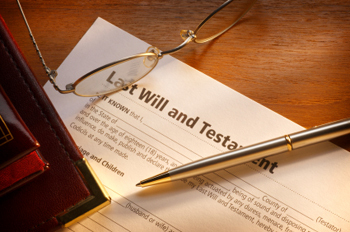 The trust can be continued after your death for the benefit of your loved ones in the form of a “spendthrift” trust. Certain types of creditors cannot reach the assets in such a trust. What does an Inter Vivos Revocable Trust not do? Does not lower estate taxes. Estate taxes can be deferred and possibly reduced for your spouse, but cannot be eliminated, through use of testamentary (after death) trusts created in a living trust or in a last will and testament. Does not protect you or your assets from your creditors. Your creditors will be able to reach your assets. For more information about trust or estate planning, please complete an Estate Planning Questionnaire at www.kristikendrick.com and make an appointment with Kristi Kendrick by calling 479-253-7200 or e-mailing her at Attorney@KristiKendrick.com. The following does not constitute legal advice, and readers should not rely on it to solve their individual problems. The information is general in nature. It is not a substitute for and should not be relied upon as personal legal advice. Legal advice cannot be given without full consideration of all relevant information relating to a reader’s individual situation. If specific legal advice is sought, this requires establishment of an attorney-client relationship which cannot be carried out through the use of this web page. Any information transmitted in an e-mail to this firm through this website discussing a potential attorney-client relationship will not be treated as confidential. Do not disclose any personal or sensitive information until this firm can ensure that it does not have a conflict between you and another client of this firm’s. This firm may subsequently represent an adverse party in the matter about which you are contacting this firm. An attorney-client relationship cannot be established through the use of this web page or this e-mail link. In order to allow this firm to run a conflicts check, please include in your e-mail your name and address and the names and addresses of the parties involved in your matter.